In the spring of 2017, the provincial government passed a new Building Codes Act, the first step in province-wide adoption of the National Building Code of Canada. Enforcement of the building code for residential and small buildings will be phased in over the following year. 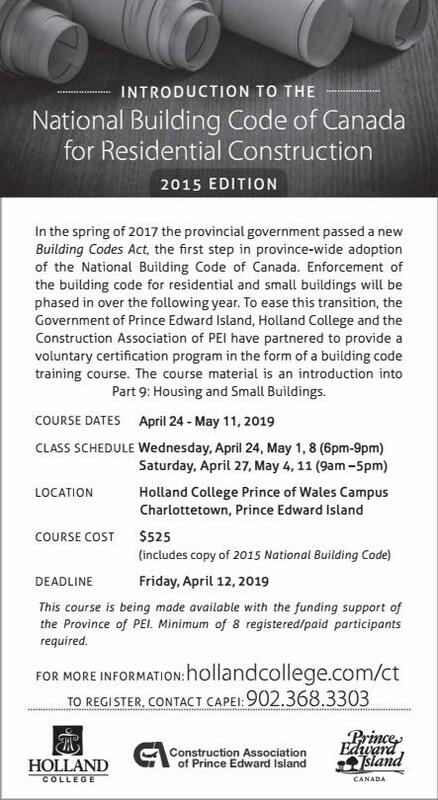 To ease this transition, the Government of Prince Edward Island, Holland College and the Construction Association of PEI have partnered to provide a voluntary certification program in the form of a building code training course.